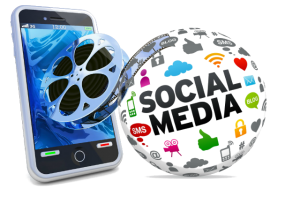 Our extensive Online Social Media presence would be out of reach for most businesses since it would require a full time administrative team and a large marketing budget to operate and reach all the areas we engage in. We use our own multiple brands to assist with our marketing efforts on Search Engines, Multiple Facebook Pages, Multiple YouTube channels, Pinterest, Google Plus, Multiple Twitter channels as well as offline marketing campaigns. Visit Media Ad Group | MAG Marketing Network’s profile on Pinterest. According to Wikipedia, more of your customers/clients are on some form of Social Media than most business owners realize.